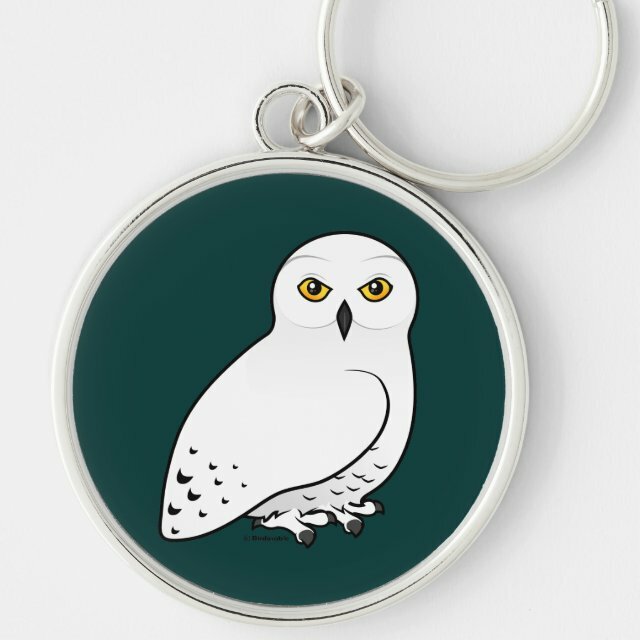 Snowy Owls are striking white birds of prey. Our cute Birdorable drawing of this bird is a great gift idea for bird lovers and anyone who likes owls. You can totally customize this gift! Move the bird around, change the background color or style, add your own text or images -- make it your own! This elegant silver-colored round keychain is waterproof. Its UV coating means the image will look new for years. Great gifts for all your family and friends. Comes in two sizes: 1.44 inches and 2.125 inches.